Ms. Robinson makes every decision with the best interest of her client in the forefront of her mind. Ms. Robinson’s years of experience working as an office manager, HR representative, sales agent, legal assistant and mixologist enables her to understand the employer’s business, limitations and weaknesses. This real-world experience has resulted in an advocate that can relate to her clients and their concerns, frustrations and priorities while advocating for them in a creative and vigorous fashion. In addition to having her J.D., Ms. Robinson is also a SHRM-CP (Senior Human Resource Certified Professional). This education provides her with business acumen and a thorough understanding of organizational development, human resources infrastructure, risk management, diversity and inclusivity agendas, creation and implementation of policies and talent management. Ms. Robinson has successfully advocated against small local companies and Fortune 500 companies in administrative proceedings and in federal and state court. Since forming Robinson Mueller, PLLC, Ms. Robinson has fought for the rights of employees for all types of discrimination and retaliation, failure to accommodate, equal pay claims, contractual disputes, hostile work environment, harassment, wrongful termination, wage and hour violations and whistleblower claims. Santa Clara University, School of Law, 2012 JD. Arizona State University, 2008 BS Criminology. United States District Court for the District of Arizona, 2014. Senior Human Resource Management (SHRM). Senior Human Resource Management Certified Professional (SHRM-CP). National institute for Trial Advocacy: Deposition Skills. Prior to his law career, Mr. Mueller worked as a car lot attendant, a forklift driver, an office clerk, and a manager at a major parcel delivery company. He is familiar with the conflicts that arise in the employment context from the perspective of both management and hourly and salary employee. He knows how difficult it is for an employee to assert his or her rights where the balance of power weighs so heavily on the side of the employer. He believes strongly that legal representation is the best way to balance the scales. 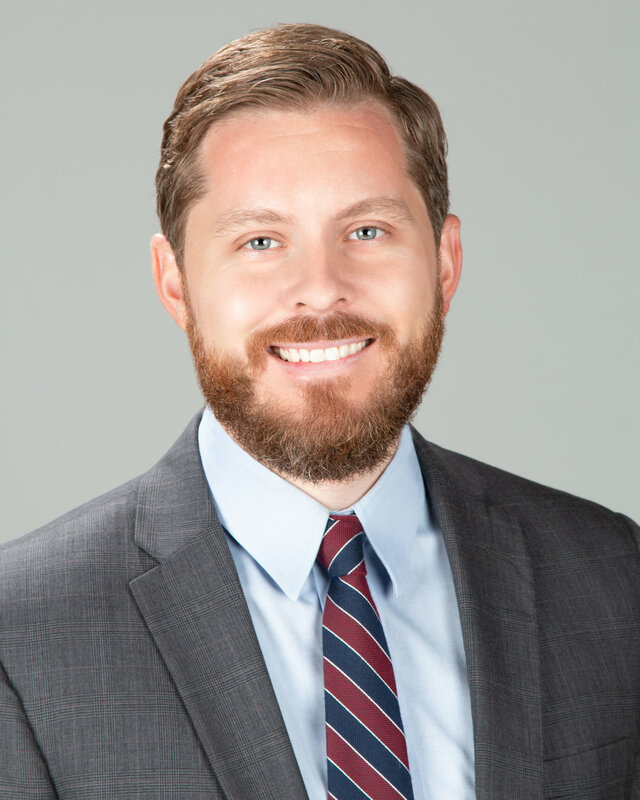 While in law school, Mr. Mueller was a member of a number of clinical programs including the Mediation and Alternative Conflict Resolution Clinic and the Immigration Law Clinic. He also worked as a law clerk for Mueller and Drury, P.C. practicing civil and commercial litigation. After graduation, he continued as an associate attorney with Mueller and Drury, P.C. For more than five years, he represented clients in a wide range of cases, including family law, estate planning, probate, contractual disputes, evictions, foreclosures, creditor/debtor disputes, ERISA employment benefit contests, personal injury, and USC § 1983 civil rights defense. He has written appellate briefs for the Arizona Court of Appeals and the Ninth Circuit Court of Appeals. He is an active member of the Arizona State Bar Modest Means program, which provides affordable representation for low-income wills and trusts clients. Since forming Robinson Mueller, PLLC, Mr. Mueller has successfully upheld the rights of employees in the EEOC, DOL, NRC, OSHA and state and federal courts for all types of discrimination and retaliation, failure to accommodate, equal pay claims, contractual disputes, hostile work environment, harassment, wrongful termination, wage and hour violations and whistleblower claims.